Shutters and automatic garage doors help provide excellent security and reassurance against intruders. Securebase have been providing our clients with shutters and garage door solutions since the late 1980s. We understand that the physical security of your premises is important and that by installing the correct barrier, you not only reduce the chance of intrusion, you can lower your insurance premiums. 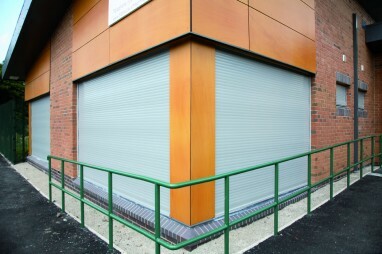 We offer a large selection of shutters and garage doors which combine high security with attractive design. We carry out a FREE and comprehensive survey of your premises to determine what would be most suitable and provide the design, installation and project management of the work as well as any on-going maintenance which may be required.